Against the backdrop of imminent large scale urbanization in India over the next few decades, it becomes crucial to identify, evaluate the needs and address the challenges faced by the largest mass of urban housing consumers with pressing needs, i.e the Affordable Housing customer. In India, it is appropriate to define affordability in housing as a function of 3 broad parameters – the monthly household income, the size of the dwelling unit and the affordability of the home buyer. First and foremost, the Affordable Housing customer seeks a strong value proposition which must be understood. Limited income and difficulty in access to credit are challenges that must be addressed. A well-constructed home in a planned development with adequate sanitation, security, privacy, play areas for children, and uninterrupted water & electricity supply holds significant aspirational value for this customer, whose current living conditions are likely to be compromised. Connectivity to places of work in urban centres and the presence of social infrastructure such as schools and hospitals are added drivers. Paucity of land is one major roadblock for an island city like Mumbai which is also the financial capital of the country. With increased need for housing to meet the needs for lower and middle income groups, there is a need for the Government to free up more land. If the Government frees some more land, it will give the necessary scope for development to the developers and increase sales. Similarly reduction in the GST rates down to 5% will be the most apt solution now as it will reduce the burden on the buyer and encourage them to actively come forward and invest in real estate. Efficient town planning and management is the need of the hour, smart cities will enable us to utilize space, time and money in a far better way. It is ideally needed to create more organized structures and inculcate a habit of optimum utilization of space whilst ensuring minimal wastage. 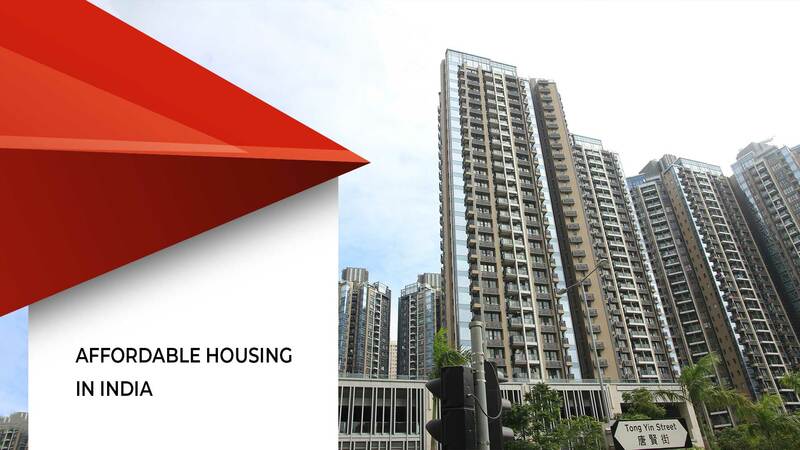 Incentivizing rental housing along with the real estate developers will swiftly enable the Government to achieve the objective of “Housing for all by 2022”. Globally, examples abound of how fast-growing and dynamic cities have successfully addressed the various challenges of impending urbanization. Compact and high density neighborhoods have been strategically promoted, typically around railway stations, and are served by an efficient public transit service. Similarly, it is important for the high density housing estates in the new towns to be well-connected to the central business districts and industrial estates. The integration of land use with transport networks should form the backbone for sustainable urban development framework. Also, measures have been taken to encourage the redevelopment of dilapidated housing areas, to be replaced with high density residential developments and, wherever possible, appropriate Affordable Housing solutions. Against the backdrop of focusing on solving the challenge of increased urbanization, the synergistic approach has the potential to accelerate the momentum of ‘right time right place’ Affordable Housing development across India. An enabling ecosystem will facilitate well-planned and sustainable urbanization that will adequately meet housing needs. Self-certification should be the rule of the game with proper carrot and stick approach to significantly reduce project development costs. The development of Affordable Housing Zones, along with the promotion of innovative construction technology providers co-located with the Affordable Housing projects and catering to project requirements, can be a win – win solution. This approach can entail varied benefits, both from the perspective of individual project requirements via speeding up of supplies, and to the technology provider who can achieve desired scale by catering to multiple projects within the zone. It is a bit of a paradox that while a basic human necessity like housing is becoming increasingly expensive, luxury items such as smart phones and electronic goods are more and more affordable. The neighborhood taxi driver may wield the latest mobile technology, but home might still mean a compromised solution. And yet, the future holds infinite possibilities. All it needs for Affordable Housing to become a widespread reality in India is a unified and sustainable approach by all stakeholders with one common goal in mind – Quality Housing that is truly for all. ALSO READ: Luxury Housing Losing The Plot To Affordable Housing?